Hello, I am Gemma McKimmie and I specialise in the buying and selling of property and mortgages. 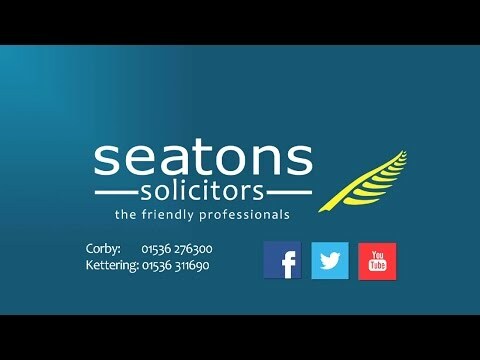 If you are buying or selling a property then expert legal advice is a must. The majority of people require a mortgage when purchasing a property. We work closely with mortgage providers to ensure that you receive the best deal and understand the consequences of taking out a mortgage. Where Should I Seek Advice About Mortgages? This page only provides very basic information about mortgages. We believe it essential that if anybody requires accurate and comprehensive advice about mortgages and loans then the advice from an Independent Financial Advisor should be sought. You can find one by looking in your local Yellow Pages or of course, the Internet! We can provide details of some local financial Advisers that we would highly recommend. Banks, Building Societies, Insurance companies, Local Authorities, and even some Private Individuals offer mortgages. All providers will instruct their own solicitors to act on their behalf to make sure that mortgages are properly set up and that the mortgages loan is secured against the property. If you are using a solicitor, most mortgages lenders will usually instruct them to act on their behalf as well. They will want to make sure that the property is sound and that they are not risking their own money by lending against it. Also they want to make sure that the buyers are people who will keep up their mortgages payments and that if things did go wrong that they would be able to sell the property and recover their money. The amount a purchaser can borrow from a Bank or Building Society depends on two main factors. Firstly the value and condition of the property itself needs to be checked. This can be done by way of a valuation and survey of the property. Secondly details and evidence of the purchaser’s own personal financial position, particularly income, needs to be provided. The amount, which a lender will lend, is usually based on the amount of a number of years’ income for a buyer. Typically, some Banks and Building Societies would provide mortgages advance to a couple, based on three times the major income and once of the minor income. However there are many different ways of assessing the mortgages amount that can be advanced. Does A Property Need To Have A Survey To Get One? Mortgages providers will always require a valuation and survey to be carried out against the property. This is only a valuation on value and doesn’t always report any defects and problems and only the valuers opinion of the value of the property. A qualified valuer and surveyor usually carry this out. The report will detail any defects and problems and of course provide the surveyors opinion of the value of the property. The costs of the valuation are paid by the purchaser up front to the mortgage lender. We always recommend that a full and comprehensive survey and report be carried out prior to the purchase of any property as well as the mortgage valuation. These can cost anything up to £250.00 but they are well worth it. What Sort Of Mortgages Are Available? There are all sorts available. We really cannot provide any detailed advice as to these. We highly recommend you seek advice from an Independent Financial Advisor for more in depth information about mortgages. The main types are Repayment, Endowment and Pension mortgages. These are the most traditional and well known mortgages. Basically a loan is provided for a term of say 25 years. The capital and interest on the loan for the mortgages period are calculated and then the total sum is repaid in equal monthly instalments over the same term. These types have also proved popular in the past. Mortgages loan is provided for a term of say 25 years. However in addition the purchaser takes out an endowment policy over the same period for the full amount of the loan. The theory is that the purchaser pays only the interest on the loan (but not the capital) over the 25 years. At the same time the purchaser pays the premiums on the endowment mortgages policy for the same term. The end result should be that when the endowment policy matures at the end of the 25 years there should be sufficient funds to pay off mortgages. However, many people have suffered in the past when the value of the policy has proved to be less than the balance outstanding on the mortgages. This is similar to an Endowment mortgages. A mortgages loan is taken out for a term of say 25 years. In addition the purchaser takes out a pension plan. Tax relief is available on the payments into the pension. The theory is that the purchaser pays only the interest on the loan (but not the capital) over the 25 years. The purchaser over the same period pays into the pension plan. The end result is that at the end of the 25 years there should be enough of a lump sum available from the pension plan to pay off the mortgages. What Are Mortgages Protection Policy? If a purchaser takes out normal Repayment mortgages then they may want to protect the rest of their family should the purchaser die before the mortgages are paid off. One way this can be done is to take out Mortgages Protection Policy. For a regular monthly premium if the purchaser dies before the mortgages are paid off the policy will pay out an amount to hopefully pay off the amount outstanding on the mortgages. Obviously it is essential that the stated payments of capital and interest be paid on time each month. Otherwise the lender can take drastic action. The purchaser usually will have covenanted (promised) not to let the property out to anyone else. This is because a tenant occupying the property might acquire rights that could adversely affect the lenders rights should they want to sell the property. This is not applicable when taking out a Buy To Let mortgage which should always be disclosed to the mortgage lender. Other clauses are that further advances may be made on certain terms and conditions. The property will have to be insured at the purchaser’s expense. Property Conveyancing, Mortgage Information & More.